Oxidizer and scrubber systems that collect dust and odor with +99% efficiency, creating a clean exhaust stream that is released into the air. Recuperative Oxidizers use combustion to neutralize odors in exhaust that contains a high level of particulates or Volatile Organic Compounds (VOCs). They provide low maintenance, energy-efficient odor control, with over 99% destruction rates. Particulate/Venturi Scrubbers are effective for removing dust and other particulates that are generated during processing or drying of the animal feed. The particulate is entrained in liquid droplets, which are then separated from the gas stream, removing them from the exhaust. With collection efficiencies in excess of 99%, a clean exhaust stream is released into the atmosphere. Our engineering staff will work closely with you to design an energy-efficient, reliable and long-lasting emissions control system for your Feed Processing applications. 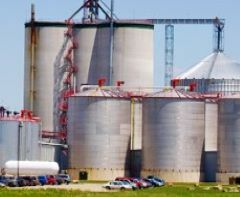 Our expert staff has designed and manufactured oxidizers and scrubbers for Feed Processing plants and has the skills and experience to design an efficient, cost-effective solution for your application.